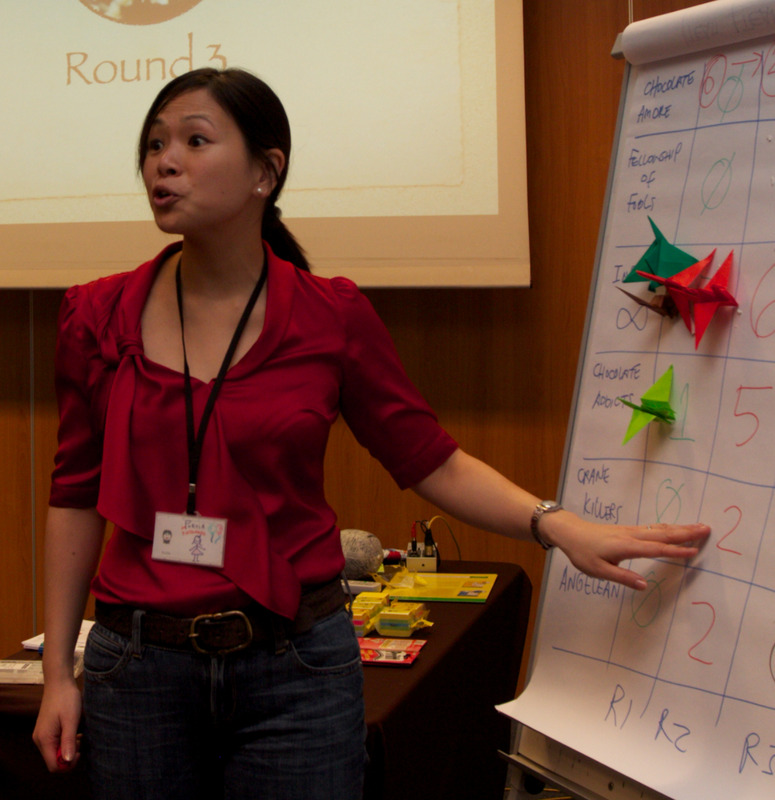 Portia Tung is the creator of Agile Fairytales and is passionate about people, process and continuous improvement. She is a consultant-coach, storyteller, and games maker who combines business strategies with play to bring about positive organisational change. Portia is an international speaker, and the creator of concepts such as Playmaking and Enterprise Gardening. She shares her insights and experiences as a coach and parent on her blog Selfish Programming. Portia is also the author of The Dream Team Nightmare, the first ever Agile novel where your decisions determine the outcome of the story. If you’ve enjoyed the Agile Fairytales, you’ll love this first novel in the Agile Adventures series created by Portia. The best kind of Agile Fairytale is the kind that’s been co-created with friends. Many thanks to Pascal Van Cauwenberghe, Jenni Jepsen, Duncan Pierce, Chris Cooper-Bland and Chris Matts for helping bring Agile Fairytales to life. All content available on this website is licensed under the Creative Commons Share-Alike-By-Attribution license.